Really lovely pictures, the Thames was wonderful, alive with boats and warehouse buildings, sadly nearly all gone now. This is another flipped image, I believe that the paddle steamer is the “Fairy” with the name London after it . 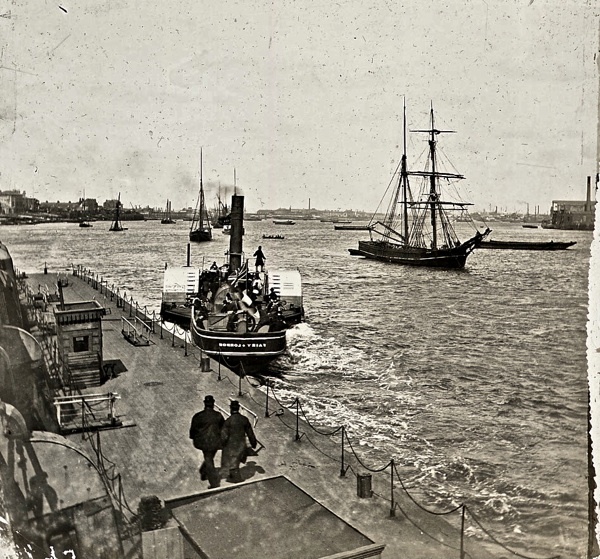 The “Fairy was built for the Woolwich Steam Packet Company at Woolwich in 1859. In 1876 the Woolwich company was taken over by the London Steamboat Company and they ran the “Fairy” until 1884 when she was broken up. 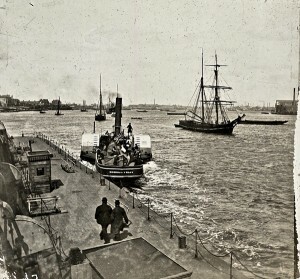 I believe she is shown here in the livery of the London Steamboat Company.